Silver is a soft, shiny, white metallic element that is found in many ores, especially together with copper, lead, and zinc. It conducts heat and electricity better than any other metal. Its atomic number 47; atomic weight 107.868; melting point 960.8°C; boiling point 2,212°C; specific gravity 10.50; valence 1, 2. The element known to scientists as Ag, or silver, is rare and valuable, and was once used to make money. It was discovered was discovered in Ancient times and used by the ancient South Americans, Asians, Egyptians, Greeks, Romans and Chinese. It is mentioned in the Bible. 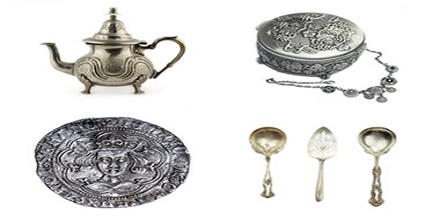 Silver is one of the metals referred to as one of the ‘Metals of Antiquity’. The ancient ‘Metals of Antiquity’ together with their approximate dates of discovery and use are Gold (6000BC), Copper (9000BC), Silver (4000BC), Lead (6400BC), Tin (3000BC), Iron (1500BC) and Mercury (1500BC). 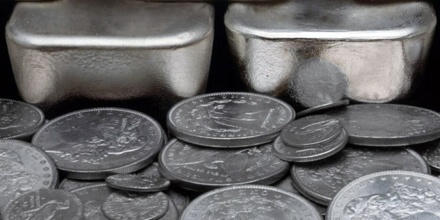 Silver metal is used in many bullion coins, sometimes alongside gold: while it is more abundant than gold, it is much less abundant as a native metal. Its purity is typically measured on a per-mille basis; a 94%-pure alloy is described as “0.940 fine”. As one of the seven metals of antiquity, silver has had an enduring role in most human cultures. Silver is one of the scarcest elements. A lustrous white, ductile, malleable metallic element, occurring both uncombined and in ores such as argentite, having the highest thermal and electrical conductivity of the metals, but its greater cost has prevented it from being widely used for electrical purposes. 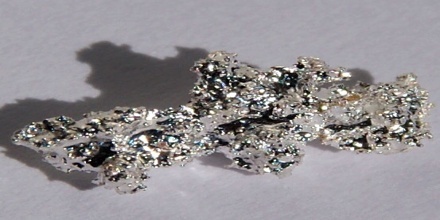 Silver’s atomic symbol is Ag, which seems to bear little relation to the name of the element. In fact, Ag is short for argentums, the Latin word for silver. The word “silver” is from the Anglo-Saxon word seolfor. Most silver used today is obtained from its ores, including argentite. The leading producers are Mexico, USA, Russia, Australia and Canada. 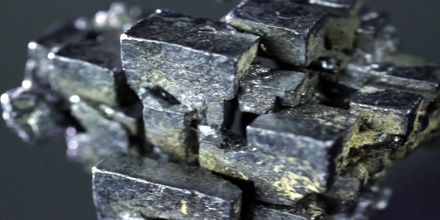 Silver is prepared in various ways depending upon the nature of its occurrence but especially in connection with the refining of lead and copper. It is highly valued for jewelry, tableware, and other ornamental use and is used in coinage, photography, dental and soldering alloys, electrical contacts, and printed circuits. Silver is classified as a “Transition Metal” which is located in Groups 3 – 12 of the Periodic Table. Nearly 75% of all the elements in the Periodic Table are classified as metals which are detailed in the List of Metals. Elements classified as Transition Metals are generally described as ductile, malleable, and able to conduct electricity and heat. 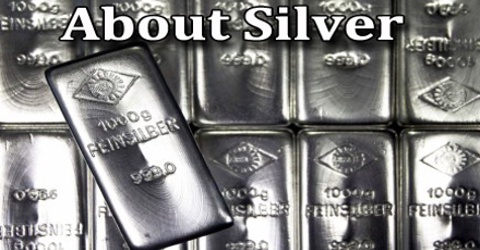 For additional facts and information refer to Silver Properties. Silver is a heavy, rather soft, white metal, very ductile and malleable and capable of taking a high polish. It surpasses all other metals as a conductor of heat and electricity, but is too costly to find extensive use for such purposes. It melts at a little lower temperature than Copper (961°). It alloys readily with other heavy metals, and when it is to be used for coinage a small amount of copper, from 8 to 10%, is nearly always melted with it to give it hardness. Silver is used to make mirrors, as it is the best reflector of visible light known, although it does tarnish with time. It is also used in dental alloys, solder and brazing alloys, electrical contacts and batteries. Silver paints are used for making printed circuits. Silver is also used in medicine for its caustic, astringent, and antiseptic effects. Reference: rsc.org, dictionary.com, elementalmatter.info, livescience.com, wikipedia.